I Just got 17 (Pre-owned) Name-Brand Baby Outfits for $10.95 Shipped! A $26.95 Value! As the title says, I just got 17 name-brand baby outfits for $10.95 shipped! I got them from thredUP, a children's clothing swapping site. These clothes should have cost me $26.95, but I was able to get them for just $10.95. 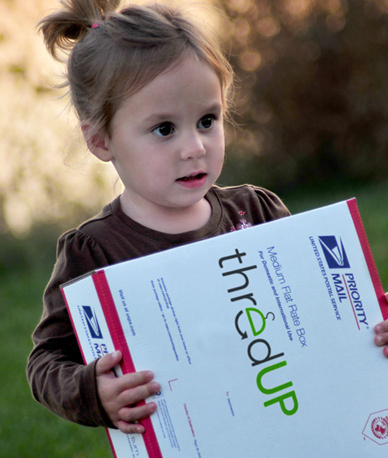 I was invited to thredUP from a friend so I got a $5 credit to the site. You can click here to sign up and get a credit. Then, I bought a $20 voucher from Mamasource for $9. It's on sale for $10, but since this was my first purchase I was able to save 10% using the code JAN10. NOTE: Most boxes on thredUP cost $9 + $10.95 shipping (I know...yikes! 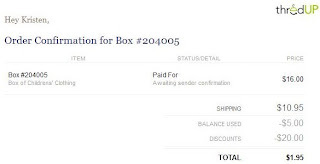 ), but the Mamasource voucher will let you get the box for "free". The box I bought was a "Super Thredder" box, which cost $16 + shipping. 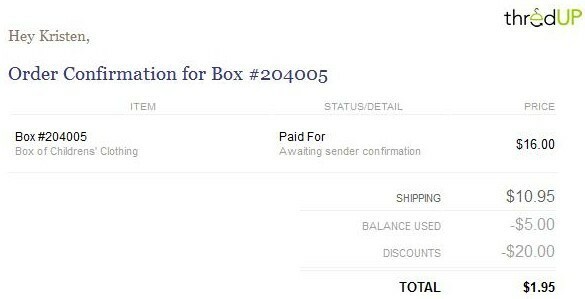 (These boxes usually have more items than regular boxes) So, using my credit and voucher I only had to pay $1.95 at checkout. Start browsing around on thredUP. You can search by gender, size, season, brand, etc. Choose a $9 box to use your voucher on and keep your $5 credit, or buy a $16 box which will use your credit plus cost $1.95 at checkout. Wait a few days and get your box full of clothes! Since we only get a written description of what's in the box, it'll be a great surprise to open it and actually see what the clothes look like! Most sellers have excellent descriptions though, so no bad surprises when you get it! I can't wait to get mine...I pretty much got over half of my son's summer wardrobe!